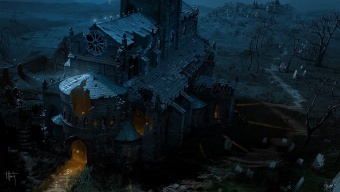 The Cathedral (also Tristram Cathedral) is older than Tristram itself, with a long Horadric heritage, and a terrifying history. Inside the entrance of the Cathedral, Level 2 from Leoric's Passage. Inside the entrance of the Cathedral, Level 3. Entranceway to Cathedral, Level 4, after accepting the help of the Templar after killing Jondar. Inside the entrance of Cathedral, level 4. Waypoints are special plates on the ground that form a network of jump points allowing players to instantly teleport between them. The nearest waypoint for Cathedral appears on Level 3. Cathedral is in some way involved in the following achievement(s). 20 years ago, under the Tristram Cathedral lied Diablo, who was put there after being captured by the Horadrim. Over the centuries, Tristram developed near the Cathedral. 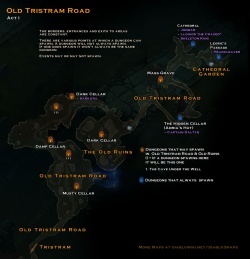 There were no issues for a long time, until the capital of Khanduras was placed right in Tristram. The Archbishop Lazarus was drawn to Diablo's soulstone, and corrupted by its power. Diablo also attempted to control King Leoric. He failed, but broke the king's mind in the process. He instead had Lazarus bring the king's son Albrecht down into the depths of the Cathedral. 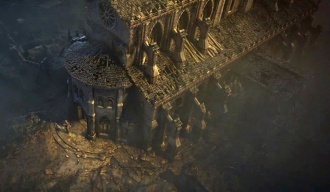 In the course of Diablo I, Aidan purged the Cathedral of evil, and defeated diablo. It was plundered several times, but nothing of import happened until the Fallen Star crashed down upon it. The impact raised tons of dead, including Leoric himself. 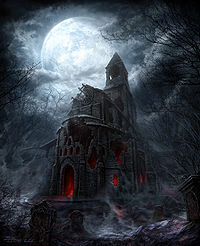 The Nephalem defeated the undead, rescued Cain, who was trapped within, defeated Leoric for the third time in history, and brought the Stranger (Tyrael) out. Nothing else has happened, yet. 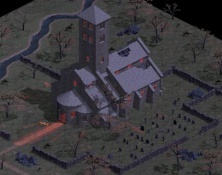 The Cathedral as seen in Diablo I.
Pre-alpha version of the Cathedral from 2012 GDC. This page was last edited on 19 March 2015, at 22:03.